The Writing CLAW is a fun, affordable and effective way to teach young children how to hold their pencil correctly. All children, including those with Autism, ADHD, developmental disabilities, learning disabilities and general fine motor delay can all benefit from using the CLAW Simple and habit forming; the CLAW is suitable for left- or right-handed users. When using the CLAW, students can focus on good handwriting rather than the mechanics of holding the pencil. The result is an efficient pencil grasp and improved handwriting. Recommended by occupational therapists, teachers and principals, the CLAW is used in school settings and pediatric clinic settings across the nation. It also works great for holding forks, spoons, and paint brushes for people with hand disabilities. Latex free and FDA-approved, the patented design offers incredible comfort for easy use in a wide variety of environments. 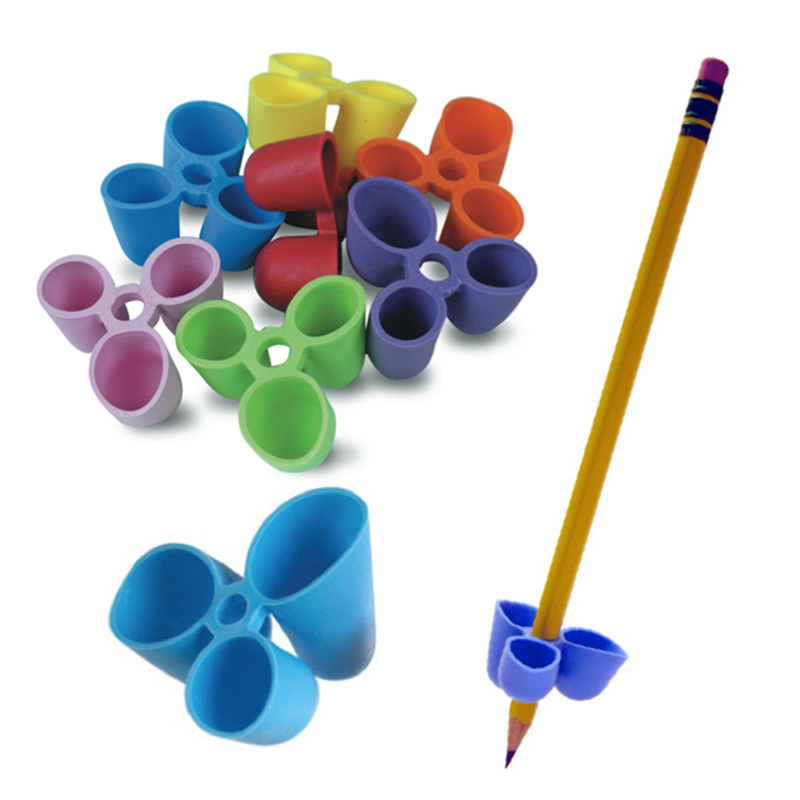 Each package includes 12 small-sized Writing CLAW grips in assorted colors. The Pencil Grip Incorporation has gained name recognition and trust in the education, toy, and therapy industries and more. The common themes that tie our products together are simple — they are designed to stimulate the mind, foster creativity and are the best available.